One day 3 women went to the top of a water flume in a swimming pool. There was a black haired, brown haired, and a blonde haired woman. When they got to the top a genie appeared from nowhere and said "when your going down the flume shout out the on thing that you want and you will land in it at the bottom. So the black haired woman went down and shouted "money" and landed in a load of cash, the brown haired woman went down and shouted "gorgous men!" and landed in a pile of men. 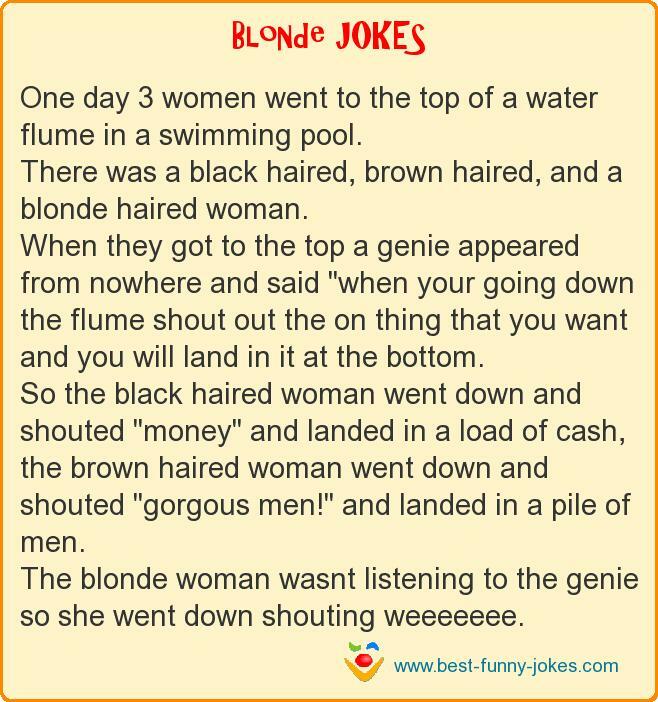 The blonde woman wasnt listening to the genie so she went down shouting weeeeeee.